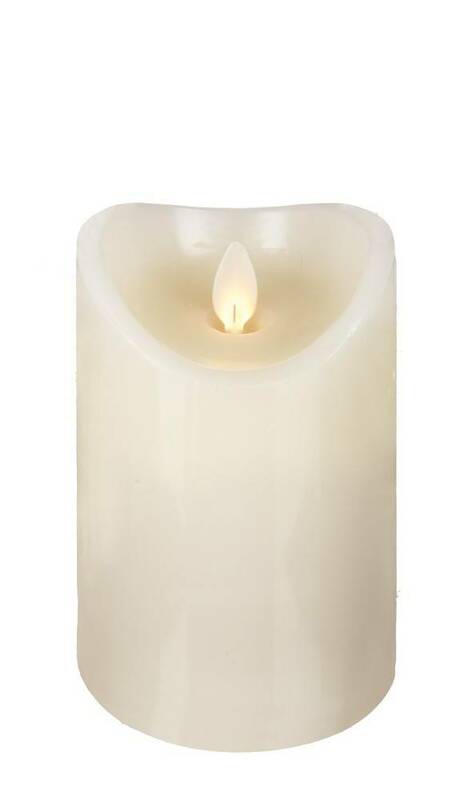 3" Diameter ivory wax pillars with realistic flickering LED flame. 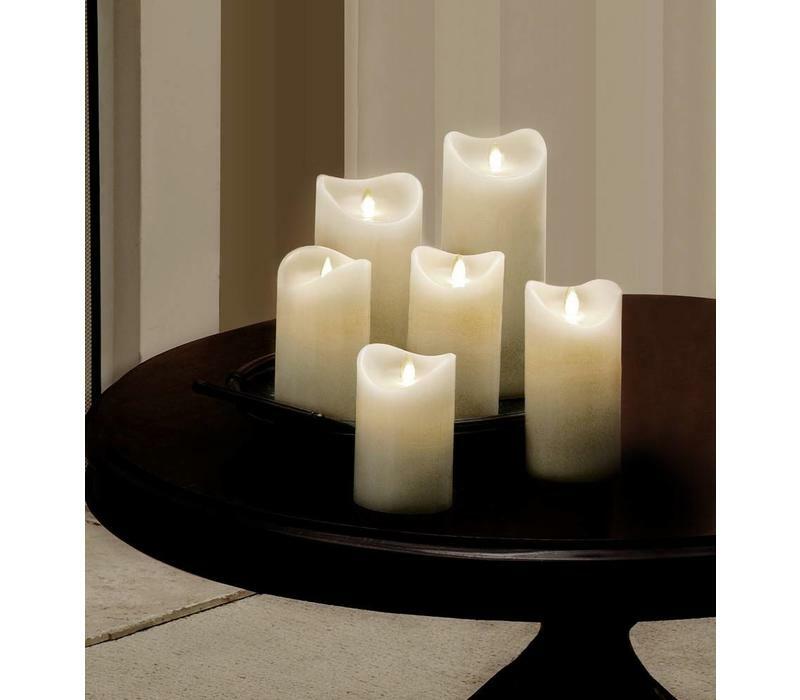 This realistic flickering flame patent-pending technology creates a flame that flickers and illuminates like a traditional candle. 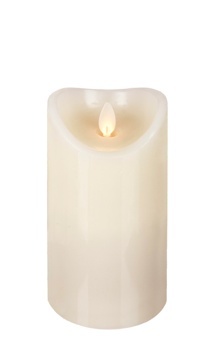 The entire flame moves in multiple directions for a truly realistic, dancing flicker. 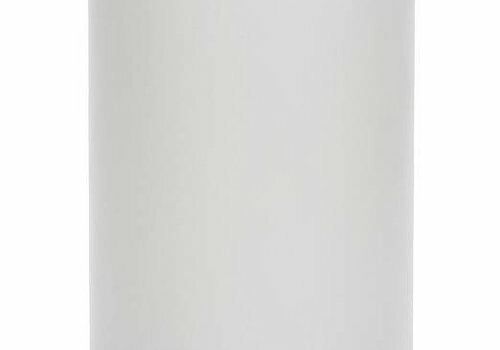 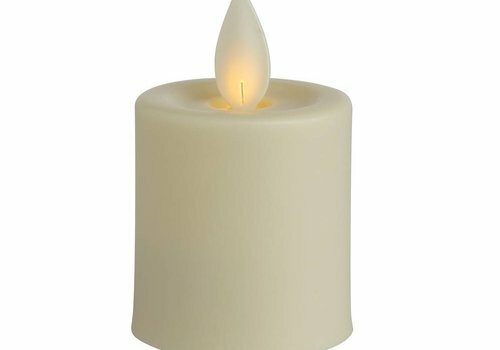 Indoor pillars are crafted in pure premium paraffin wax, pairing the natural warmth and glow that you love with leading-edge LED technology. 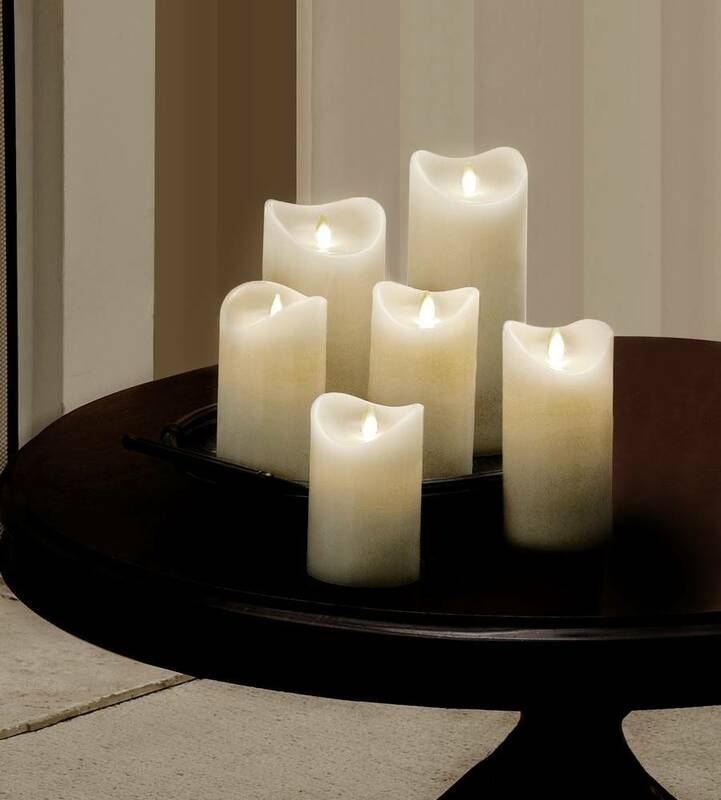 Flameless, smokeless and quiet, in colors and sizes that let you be creative year round. 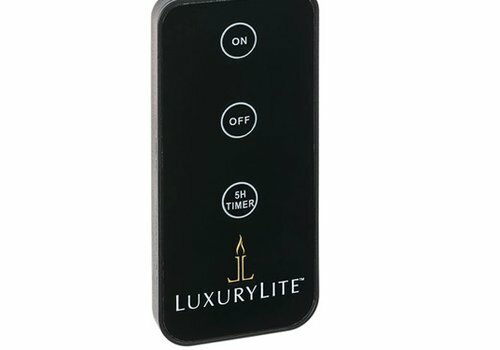 Turn on any pillar and set the built-in timer. 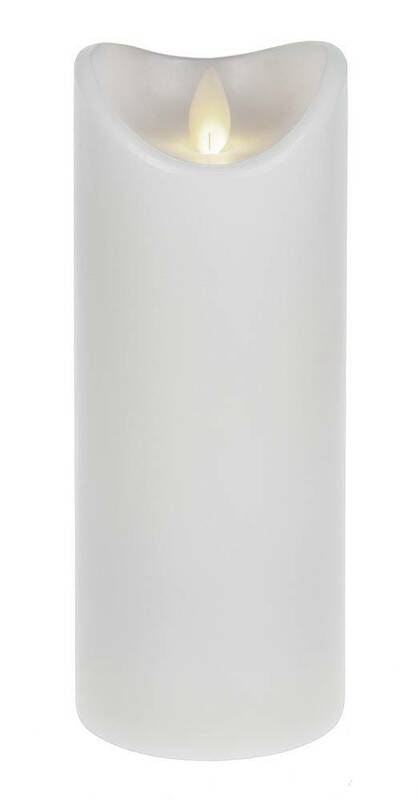 The pillar will shut off 5 hours later, then it will automatically turn on and shut off following the same sequence every day. 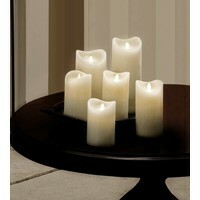 Pillars and votives can be turned on and off with a single remote control. 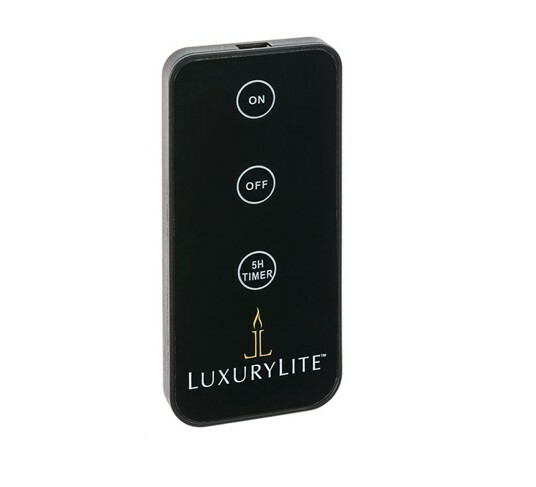 The candle remote control works with all LuxuryLite candles. 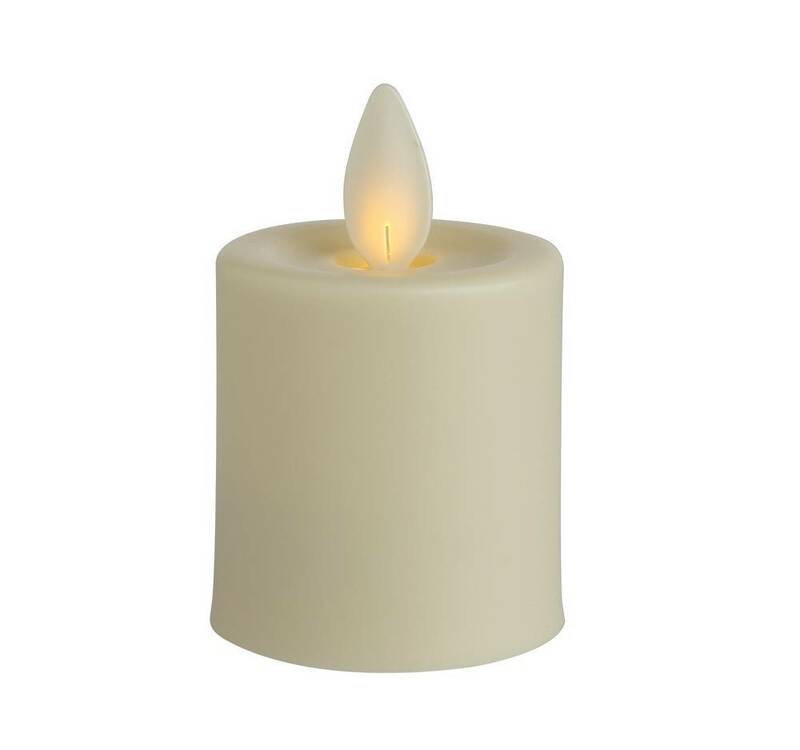 Simply point and click to turn any size candle on or off. 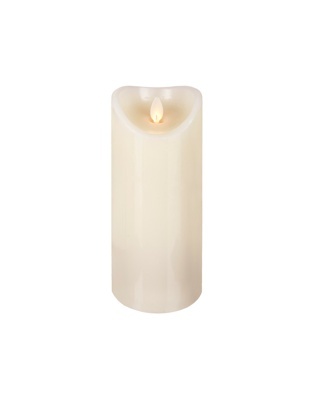 Perfect for groupings in hard-to-reach areas! 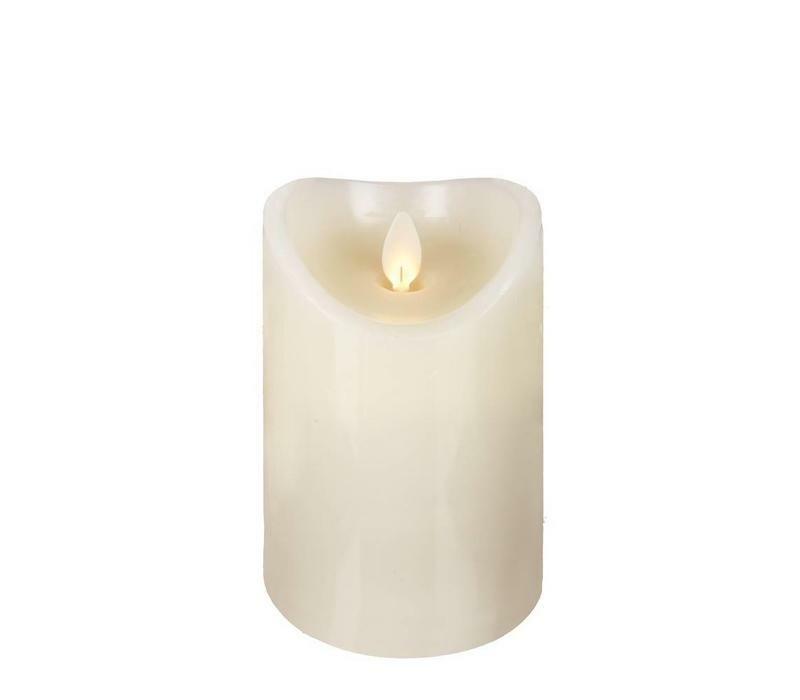 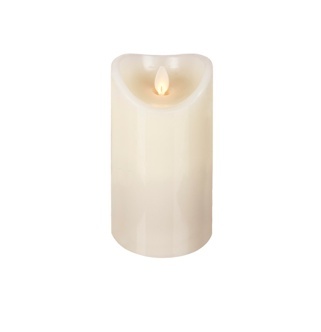 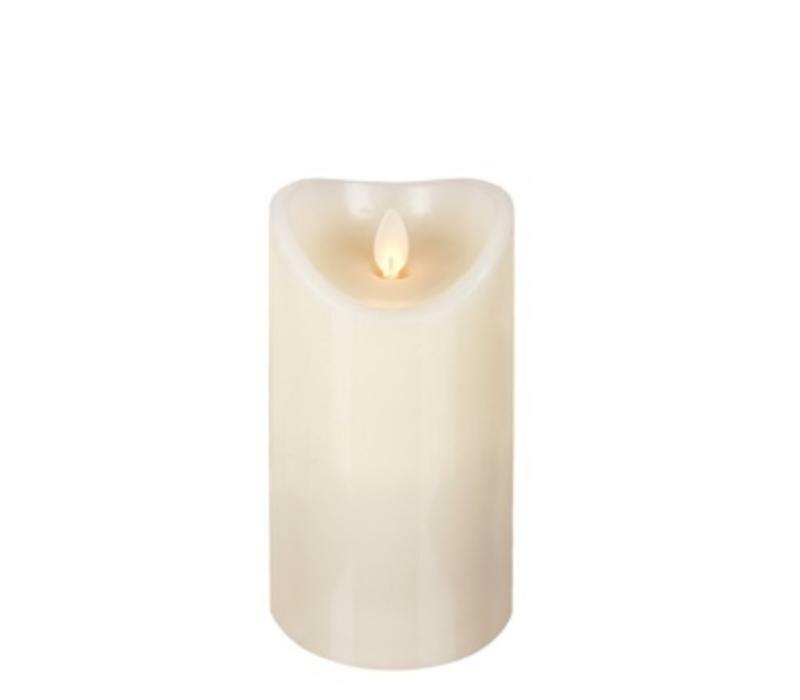 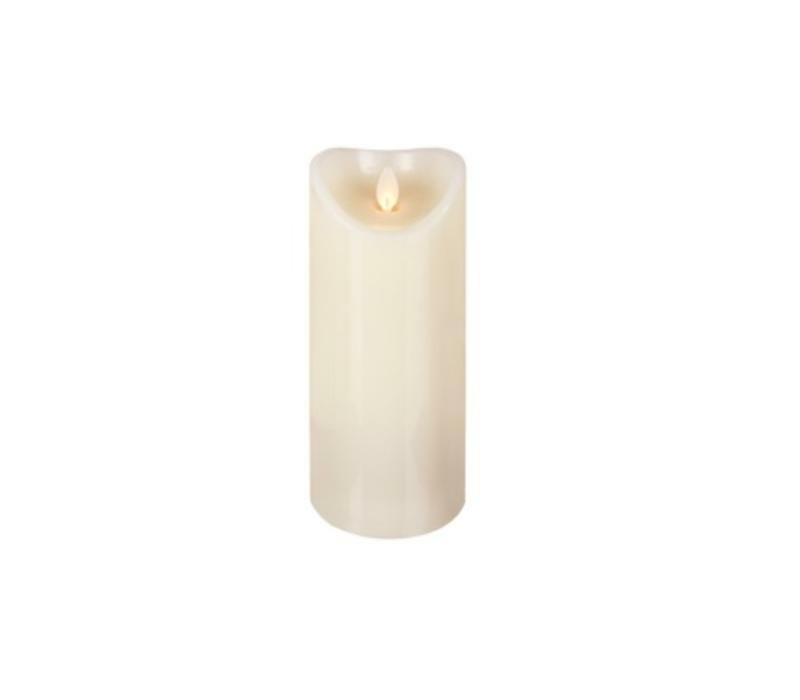 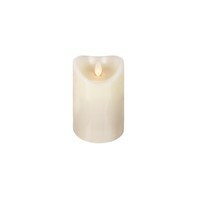 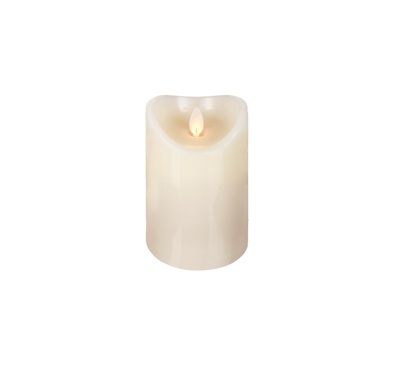 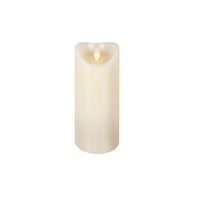 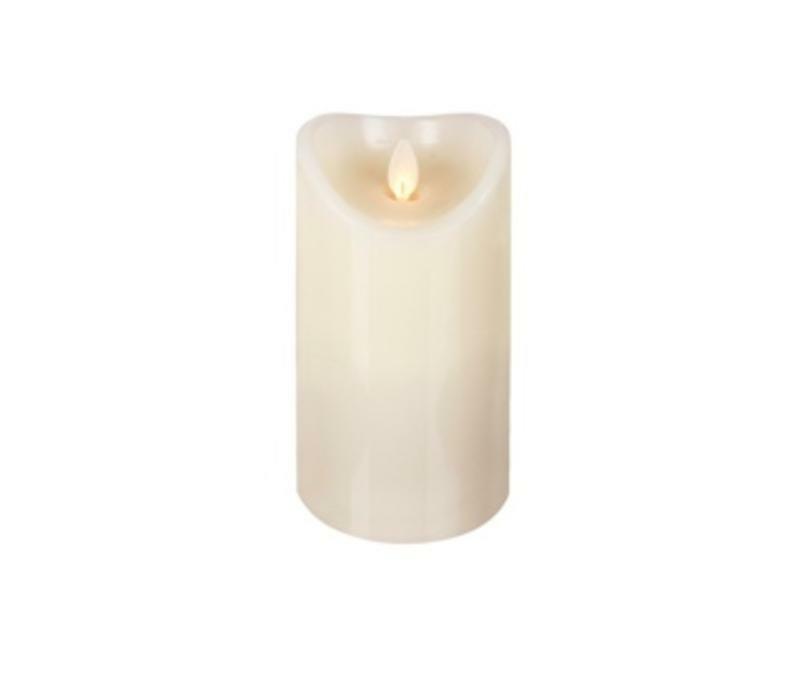 2in ivory resin water resistant votives with a realistic flickering LED flame. 3" Diameter white wax pillars with realistic flickering LED flame.